Do you suspect that you are a loved one may have dementia and are you wondering what to do about it? It starts with understanding the stages. Is someone you love exhibiting signs of forgetfulness or memory loss? You may wonder whether they have dementia. The condition poses many challenges for the senior themselves as well as friends and family. It significantly changes the caregiving landscape and means that they need more help than usual with daily tasks. Dementia can cause mood swings, irritability, distress and other emotional disorders. Because of this, it’s very important to get the help the senior needs as soon as possible. That, in turn, means recognizing the stages of dementia. Let’s talk about that today. Dementia is sometimes a confusing topic. That’s because this umbrella term encompasses so many different symptoms and stages of life. People with dementia may be mildly forgetful. Or they may be completely unable to take care of themselves. In either case, the main characteristic of dementia is a decline in mental faculties. This decline makes it increasingly difficult for a person to take care of everyday activities. Alzheimer’s disease is the most common form of dementia. It is the one with which most people are most familiar. However, Alzheimer’s is not the only form of dementia. Some are so mild you may not even notice them, even if you are the one suffering. Others are so significant that they post dangers not only to the senior themselves but to others with whom they come in contact. For instance, other drivers may not realize they are sharing the road with a driver whose safe driving days are long past. Dementia is a problem in the part of the brain that controls language, thoughts, and memory. If any of these aspects are affected, the person probably has some stage of dementia. The question becomes, what stage? Let’s take a look at that below. What Are the Main Stages of Dementia? Stage 1: In stage one, there is no cognitive decline present. Stage 1 includes all normal, healthy, functioning people whose mental faculties are fully accounted for. Stage 2: This stage still is not considered dementia. But people who are in it do exhibit very mild cognitive decline. They may forget names and places more often. Or, they may become more forgetful about appointments or forget where they left objects. However, their symptoms are not apparent to anyone but themselves. Stage 3: Increased forgetfulness characterizes Stage 3. This is considered mild cognitive decline. It includes increasing forgetfulness and reduced mental performance. The older adult may begin to get lost once in a while. Their loved ones will start to notice their forgetfulness. Stage 4: Difficulty concentrating rears its head in Stage 4. Everyday tasks start to become harder. The senior may have more trouble traveling, cooking, shopping, cleaning, or managing their finances. They may become frustrated with their inability to complete tasks as efficiently as they once could. Because of this, they may start to pull away from loved ones out of embarrassment or shame. This phase usually lasts a few years. Stage 5: The condition progresses from moderate to moderately severe cognitive decline. This is when the sufferer moves into mid-stage dementia. They have severe memory problems, may forget their address or phone number, and start to struggle significantly with daily activities. A beacon to need help with dressing, bathing, and eating. Mid-stage dementia also lasts a few years. Stage 6: This is where dementia starts to become very depressing for the loved ones of seniors. The senior begins to forget the names of their children, spouses, and close friends. They may become unable to finish tasks, become compulsive, or stop speaking. Personality changes are not unusual. Normally kind and gentle people may become aggressive, rude, and hurtful. In this stage, family caregivers often experience a great deal of sadness and frustration. Stage 7: The final stage of dementia is characterized by an almost complete inability to engage in the activities of daily life. People with very severe cognitive decline usually cannot perform any tasks for themselves. They become limited in their mobility. Typically, people with such severe dementia only last a few more years. As you might imagine, the stage of dementia significantly changes the requirements for care. In the first few years, the elderly person may only need a little bit of help taking care of daily tasks or getting too appointments. Later on, they may become a full -time job for their caregiver. This is frequently an untenable task for children and loved ones to take on. That’s why it’s so important to understand how dementia changes the caregiving landscape, and what to do about it. 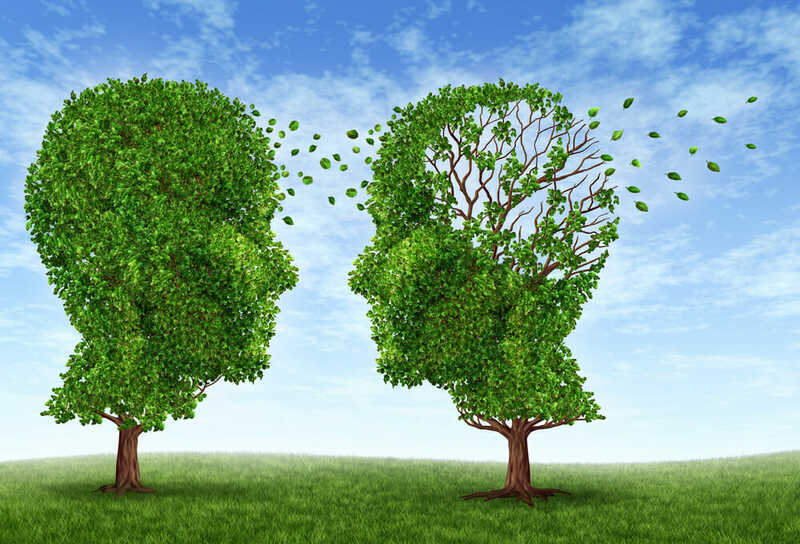 How Does Dementia Change the Caregiving “Landscape”? Such characteristics make the senior more difficult to deal with than usual. Even if you have the patience of a saint, you may not know how to interact with the person effectively. If you want to ensure a good quality of life for them, you need professional help from someone who has experience with dementia specifically. How Can You Find the Right Caregivers? Finding the right caregiver is not as simple as finding someone who has worked with forgetful patients before. Dementia is frustrating, and people who suffer from it are often difficult to work with. If you do not partner with a compassionate care company, you may not be happy with the treatment your elderly loved one receives. Don’t let that happen when you could instead help. Are you ready to help a senior suffering from dementia get the help they need to live a quality life until the end of their days? You need professional caregiving services. When you have help providing the care your loved one needs, not only do both of you have better lives, but you can maintain stronger relationships. Let Celestial Care provide that for you by giving us a call at 602-375-8880 or reaching out through our website today.